Your gums not only support and protect your teeth they also help present them in a visually attractive way. But some people’s gums seem to stand out too much — what’s commonly called a gummy smile — which diminishes their smile appeal. There’s no precise definition, but as a rule of thumb we consider a smile too gummy if four or more millimeters (about an eighth of an inch) of the gums show. Fortunately, there are some techniques to improve a gummy smile. Which technique is best for you, though, will depend on why the gums are prominent — and causes vary. For example, you could have a gummy smile because your teeth appear too short compared to your gums. Permanent teeth normally erupt to about 10 mm of visible length. But less than that, say 8 mm, could skew the visible proportion of gums to teeth too much toward the gums. Teeth can also appear shorter due to accelerated wear caused by grinding habits. Another cause could be the amount of upper lip rise when you smile. The lip may rise too high in a condition called hypermobility. This could reveal too much of the gums when you smile. It’s important then to match the treatment to the cause. 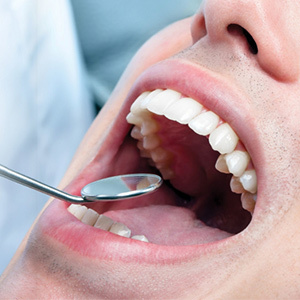 For example, we can enhance the appearance of shorter teeth through a surgical procedure known as crown lengthening.Â During this procedure a surgeon reshapes the gum tissues and underlying bone to expose more of the tooth’s length. For upper lip hypermobility, we can restrict movement with Botox, a drug that paralyzes tiny parts of the involved muscles. This approach, though, will wear off in a few months — a more permanent solution is surgery to reposition the muscle attachments so as to prevent excessive movement. If you’re concerned about a gummy smile, see us for a full examination and consultation. Once we know the reason why, we can offer a solution that will make your smile more attractive.